Forest Hills Chiropractic and Wellness (Forest Hills) - Book Appointment Online! Dr. Antoldi is simply amazing. 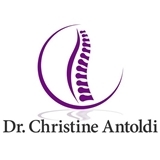 After seeing multiple chiropractors in my lifetime, all with very different methods, Dr. Antoldi is probably my favorite thus far--even after one visit. She was straightforward and easy to understand, she explained why I was feeling the way I was, which many doctors fail to mention. I felt very secure and understood and cared for in her hands.